The so-called “SEC Primaries” on March 1, 2016 could have as much to do with deciding the Republican presidential nominee as the Southeastern Conference does with college football’s national championship. With that in mind, candidate Jeb Bush has toured the SEC this fall, and while he is undoubtedly watching great football, he is also pursuing votes. 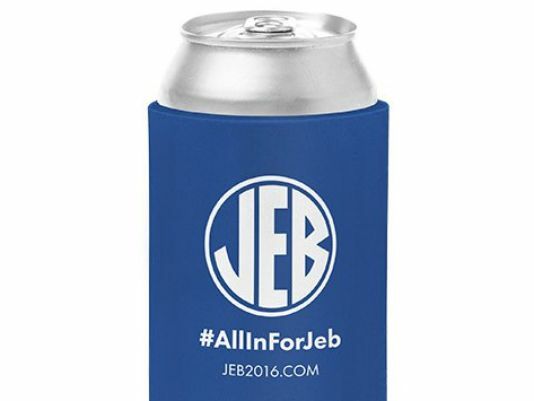 As Bush canvasses the crowds across southern tailgates, which have included the University of Georgia and the University of Tennessee campuses, staffers have passed out koozies emblazoned with the letters “J-E-B,” in a circular logo similar to that of the SEC. That is until recently, when SEC officials called the logo into question.